Reserve your tax credit with the Illinois Department of Revenue. This requires that you have an account with mytax.illinois.gov (the same system where you can file your Illinois income taxes online). 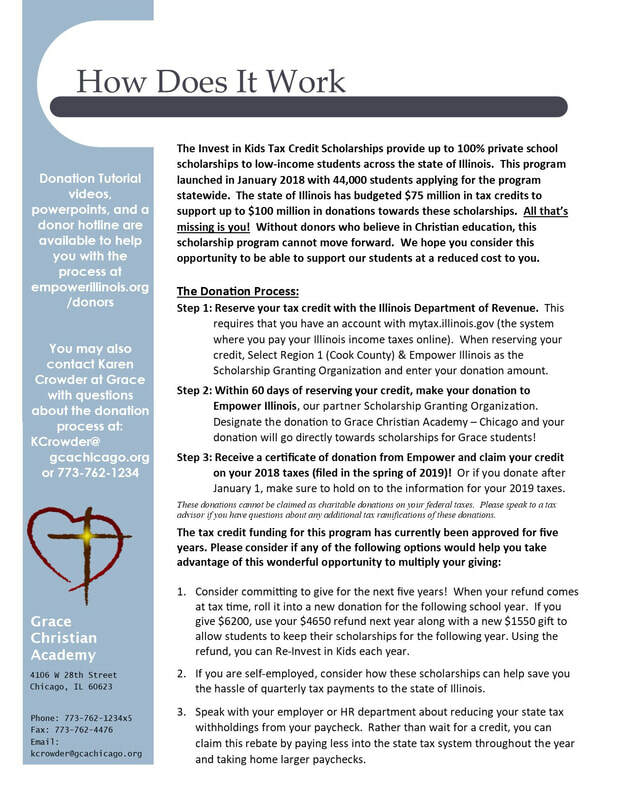 When reserving your credit, Select Region 1 (Cook County) and Empower Illinois as the Scholarship Granting Organization, and enter how much you will be donating. Within 60 days of reserving your credit, make your donation to Empower Illinois, our partner Scholarship Granting Organization. 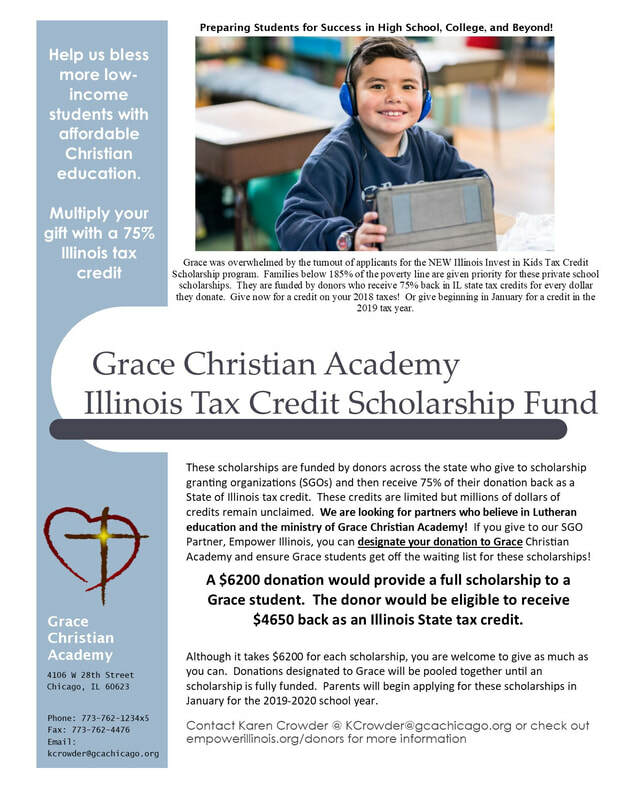 Designate the donation to Grace Christian Academy – Chicago and your donation will go directly towards scholarships for Grace students!